Otto Maarsingh was born in 1970 (Groningen, the Netherlands). From 2000 to 2003, he attended the vocational training at the Department of General Practice of the University of Utrecht. From 2003 to 2007, he worked as a general practitioner in the central part of the Netherlands and from 2007 to the present as a general practitioner and staff member at the VU University Medical Center’s General Practice in Amsterdam. In November 2004, he started as a PhD student at the Department of General Practice and the EMGO+ Institute for Health and Care Research, VU University Medical Center, Amsterdam, which resulted in the thesis ‘Dizziness in older patients in general practice: a diagnostic challenge’ (2010). In 2011, he received an individual grant from the Stichting Beroepsopleiding Huisartsen (SBOH) for 4 years and started as a postdoctoral researcher at the Department of General Practice & Elderly Care Medicine and the EMGO+ Institute/VU University Medical Center, Amsterdam. In 2013, he completed his education in epidemiology and obtained his registration as Epidemiologist B. July 2013, he obtained a grant from ZonMw/SBOH for six years for his research project ‘Improving the diagnosis of dizzy elderly: a three-arm validation and intervention study in general practice’. 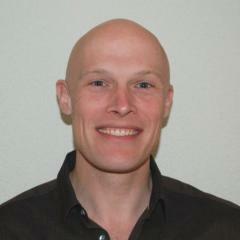 His research specialties are search strategies in large databases, consensus procedures (e.g. Delphi techniques and panel diagnosis), diagnostic systematic reviews, and prediction rules. His main areas of interest are dizziness, older patients, diagnostic research, and especially - as a practising GP - translating theory into practice.